A really really back-dated post. Haha. It took me 2 weeks to post this. Got no time and also lazy … when I had the time I would be really sleepy. This entry was posted on Wednesday, December 5th, 2007 at 6:53 pm	and is filed under Darien, Denisha, Food for Thought. You can follow any responses to this entry through the RSS 2.0 feed. You can leave a response, or trackback from your own site. 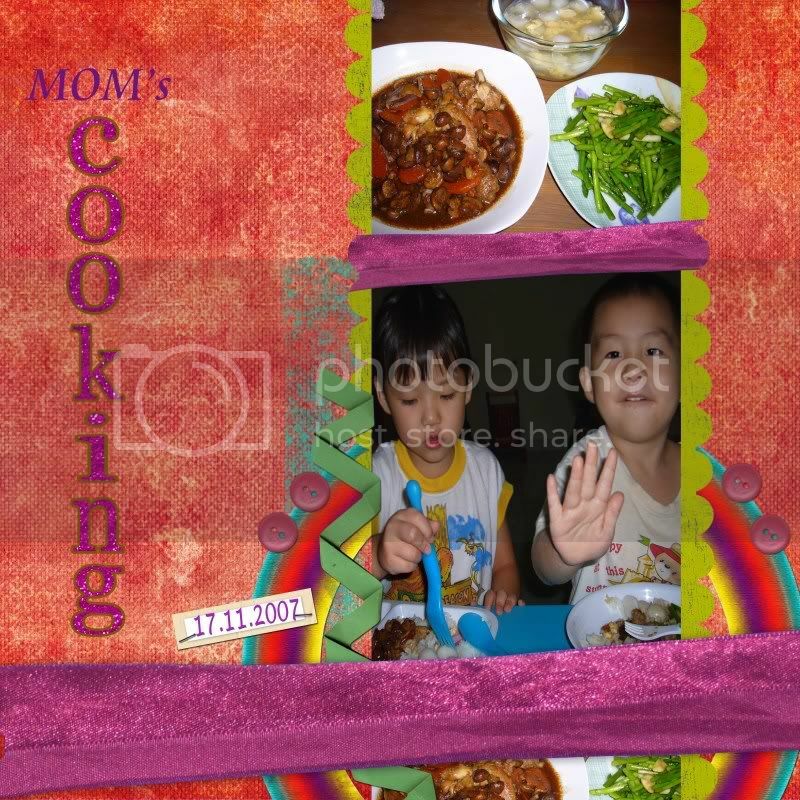 bravo bravo…2 kids and u can manage to cook!! oh btw…where did u get denisha’s cake? is it from tracey or lilian? eh eh they cook fake meals .. i cook real ones .. haha. replied you on the cake via email. your kids eat greens? so lucky you! !